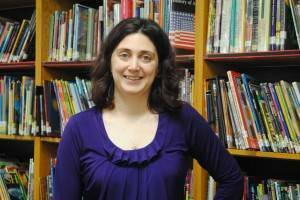 I am a teacher/librarian for a small rural school district with fewer than 150 students. I am constantly looking for ways to improve student achievement and increase reading skills and interest in literature. Helping find these methods through research ensures sound practices with consistent results. The goals of this action research were twofold: increase reading and decrease wasted funds on books that children do not want to read. A book club was held in the school library twice a week for six weeks. Student participants received weekly prizes as an incentive to come to meetings, with drawings held regularly for free books, bookmarks, bags, and other prizes related to reading. At the beginning and end of each book club, students answered survey questions about their reading habits, favorite genres, and books they would like to see added to the library. Student survey results were used to determine types of books to add to the library over the summer. After summer break was concluded, summer reading rates between book club members and non-members were compared; the former showed a higher rate of summer reading than the latter. This information will be used to determine if future book clubs should be held, and to ensure that library funds are spent on books that students will be enthusiastic about reading. This action research was conducted in a small, rural K-12 school district in Missouri. It was held before school on Tuesdays and after school on Thursdays in the school library. Students in grades 6-12 were invited to participate and were offered snacks and incentives to come to the meetings. The entire school school district has less than 200 students, with 71 students enrolled in grades 6-12 at the time of this project. The town itself is approximately 15 miles from the nearest public library, so student access to books outside of the school day is limited. The library itself has a very small budget that must be stretched to meet the needs of students in every grade, in both fiction and nonfiction. Originally, the meetings were going to be held exclusively after school, but due to student requests, one of the meeting days was adjusted to allow students who rely on the school bus an opportunity to attend. On those mornings, breakfast was provided in lieu of an afternoon snack. Connected Learning by Kafi Kumasi, featured in the February 2014 issue of Teacher Librarian, discusses the use of a book club to engage students and encourage learning. An after-school grant issued by the Missouri State Department of Education in the spring of 2014 allowed me to do some preliminary research on the benefits of a book club held after school. Students were reading during book club, but the question remained on whether or not they would continue reading afterwards, as well as how best to set up a book club to optimize student participation. Procedure. Fliers advertising Book Club were sent home with images of prizes offered: magnetic book clips, book marks, a book-shaped bag, and fancy journals. These prizes were selected with student input from students who had inquired if/when we would have a book club. When I first told students that there were going to be meetings, students requested that I include some before-school times because the bus schedule would not allow them to attend after-school meetings. Thus, Book Club meetings were planned for Tuesday mornings before school and Thursday afternoons directly after school. Student Participants. Seventy-one students enrolled in Grades 6-12 participated during the last six weeks of the school year when Book Club was held. Of those students, nine were ineligible or unable to participate in extra-curricular activities. Of the 62 students remaining, ten participated in Book Club at least once, with 80% of those students attending at least 50% of the time. Of the participating students 80% took advantage of the morning schedule. While Book Club was in session, morning attendance was at or above after-school attendance 66% of the sessions. Student Surveys. Students participating in Book Club were surveyed at the beginning and end of the six weeks, and again at the beginning of the school year following Book Club. The questionnaires given during Book Club utilized a Google Forms survey. The questions included their reading habits, expectations for Book Club, and genres of books that they prefer. Students were also asked about the number of books they would read outside of school assignments during the school year, before and after Book Club. Almost all students surveyed indicated their motivation for attending Book Club were the snacks and prizes (including the free books). Of the survey responders, 40% said they liked giving input into the school’s library collection, and 40% said they liked reading books before anyone else did. When school resumed, I surveyed a few randomly selected students about their reading over the summer. About 33% of Book Club non-participants indicated that they read during the summer, compared to 75% of Book Club members surveyed. Student Observations and Comments. Students indicated early on that they preferred that they select a book to read individually and then discuss with others later. Male students mostly wanted a quiet place to read for an uninterrupted period of time. The girls would randomly read passages aloud to each other. One student showed up, looked at the books I had offered, and then pulled up her Kindle app on her phone and read on it instead, noting that she wanted to finish that book before starting a new one. Several students indicated that they prefer hardback books, but dislike the jackets. One meeting was spent with several students discussing books they wished would exist. During another meeting, a student pulled out her phone to show an article about books on BuzzFeed, which we then put on the library projector screen to view together. 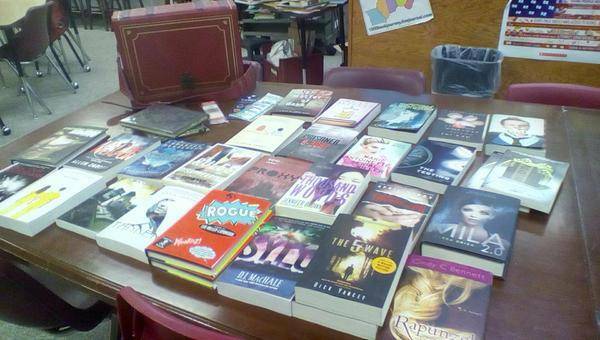 The fourth week of Book Club coincided with the school book fair. I told the students to select books to purchase for Book Club, to be added to the library later. Several students said they would much rather “pick out good books for the little kids” with the budget I gave them, because “we already have so many great books.” A theme of sharing a love of reading, either through wardrobe choices, discussions, or finding books for others was a pervasive theme throughout meetings. While students did not focus on any one genre, most of them indicated several times that it frustrated them when the library purchased only one book of a series. Many said they didn’t like to read a series until all of the books were published so they could “read them all at once” and all of them recommended I round out partial series in the library. Students who participated are more likely to continue reading for pleasure during the summer than non-participants. Students prefer an option of morning or afternoon meeting times, but tend to attend at both sessions. Students prefer that libraries acquire complete series and may avoid reading a series if all titles are not immediately available. Students are already asking “Are we going to have Book Club again this year?